One Man’s Journey from Husband & Father to Amazing Grace and the Priesthood, With Endless Grief, Eternal Love, & the Power of Prayer Along the Way. Father Sean Hyland was a husband, father and a successful businessman before a late vocation brought him to the priesthood. He entered a seminary at a time when religion appeared to be declining at an alarming rate, with the Catholic church in crisis and with people too busy with "busyness" to think of God and the Divine. Sean heartily rejects assumptions that religion is disappearing in modern day life with his new book Whisperings of My Soul. He begins by reflecting on his earlier life as a husband and father of two children who were so cruelly taken in their early years. He tells of his heartache as he also lost his wife and soulmate whom he adored. Always deeply religious, no one would blame Sean for questioning the existence of God after his terrible personal losses. Yet, consumed with grief and at the lowest ebb in his life, Sean received wonderful consolations through his wife and children from God. As a result, his faith in God’s love and mercy was renewed and deepened, and he now has an unwavering belief that our loved ones are aware of our everyday events and watch over us. 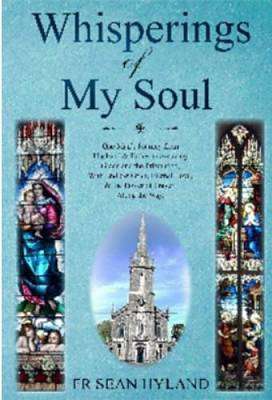 The book has three distinct but complementary parts with Part One focusing on Sean’s personal story and his journey from husband and father to the priesthood. Parts two & three focus on what he believes to be overwhelming and undeniable evidence, including empirical data and recent scientific discoveries which validate the existence of God and how He reveals himself in our world.